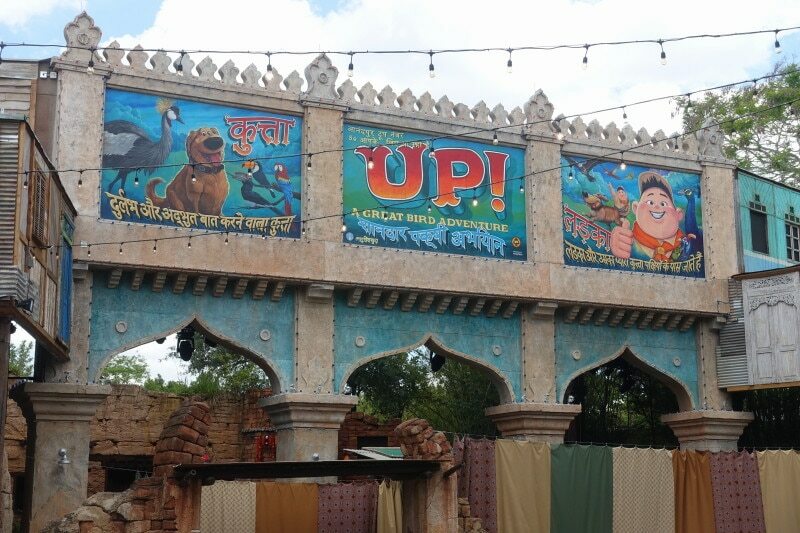 UP: A Great Bird Adventure opened in Asia at Disney’s Animal Kingdom on April 22, 2018, replacing Flights of Wonder, and I had the chance to see it a few days later. 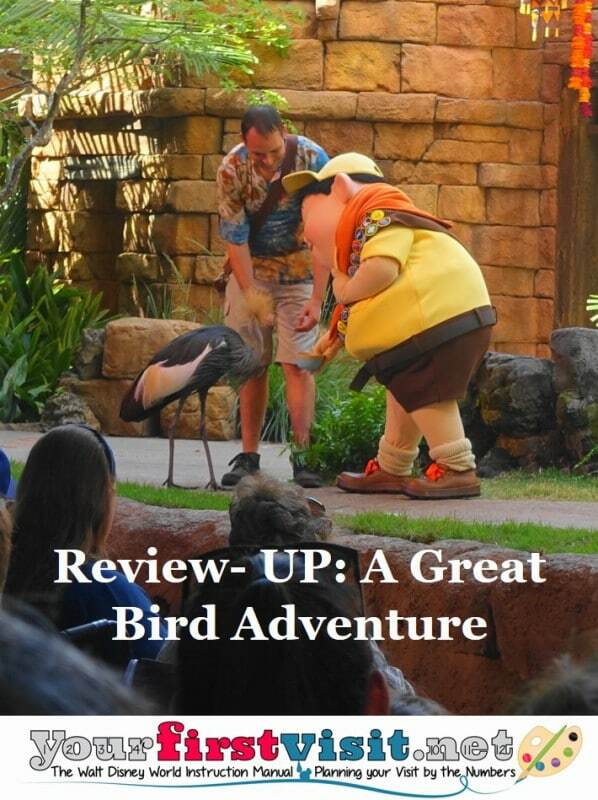 UP: A Great Bird Adventure is essentially two bits shoved together: a bird show, not wildly dissimilar to Flights of Wonder, and some play and interactions among the host, cast members and avians of the bird show with Russell and Dug of UP. 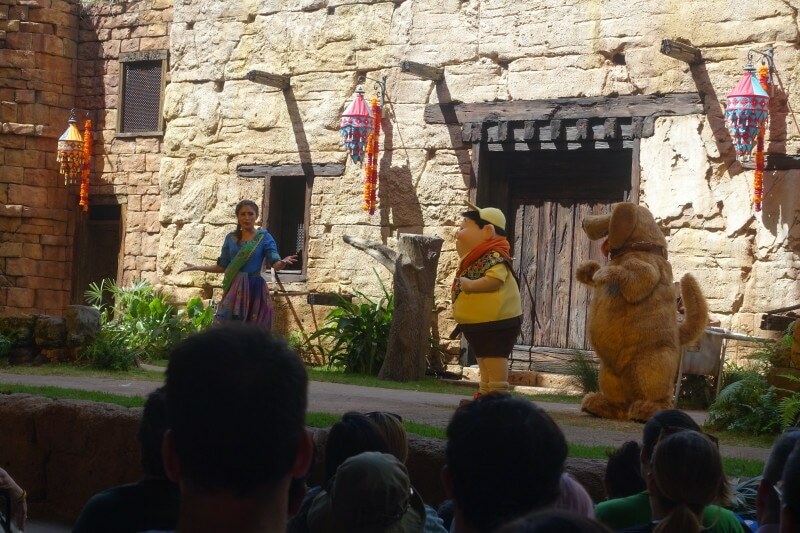 There are some linkages among the bits, and an even deeper linkage between the new UP: A Great Bird Adventure and the revamped Pirates of the Caribbean (which I will write about soon) at the sublime chicken level, but not enough to make it a tight show or one with a high payoff for UP fans. 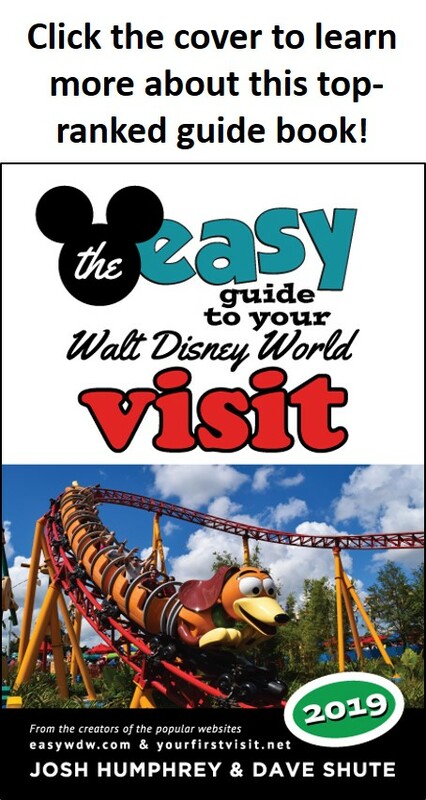 I saw it with friend and co-author Josh of easyWDW.com (Josh will likely have a review with MUCH better images posting soon). We both had some trepidation, as we each loved the old show Flights of Wonder and were concerned that the fun birds of that show would disappear into the IP of UP. Not to worry—well, mostly not to worry. 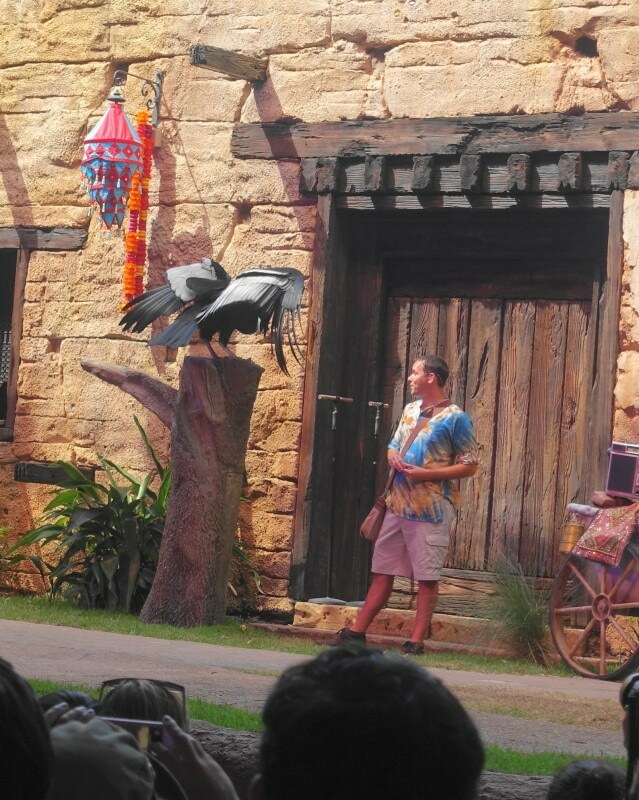 The bird show part of UP: A Great Bird Adventure remains delightful, and make up probably around 20 minutes of the 25 minute show. A fun and interesting mix of birds—most, if not all, from the prior show—demonstrate a fun mix of looks and capabilities. 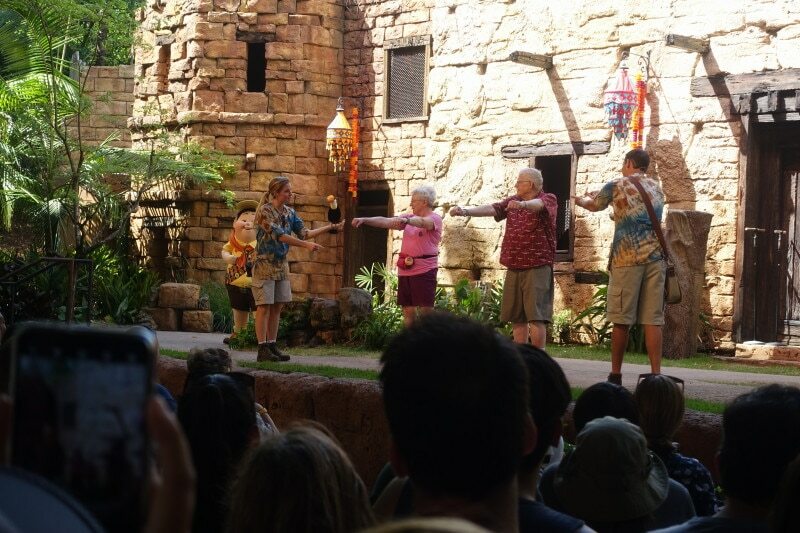 And there’s still some audience participation, both from the theater and on the stage. 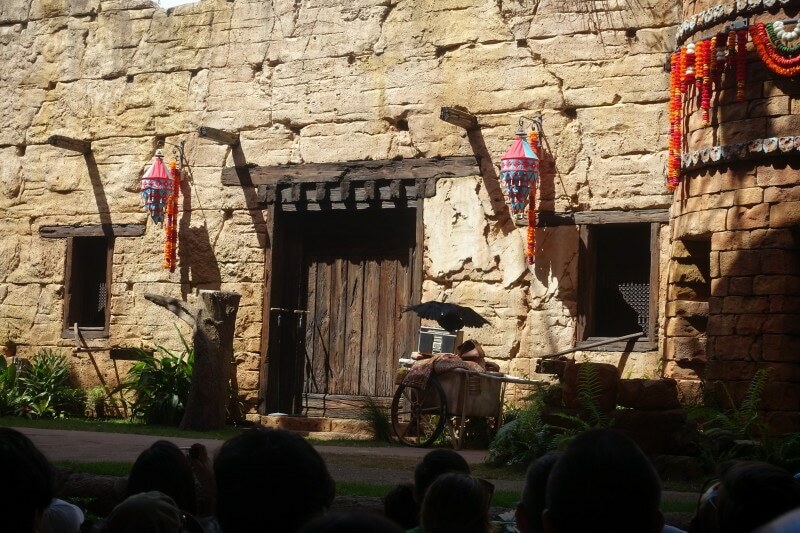 The actual bird acts, I hear, vary a bit depending on which birds are ready for which parts of the show. Living beings aren’t as reliable as audio-animatronics. 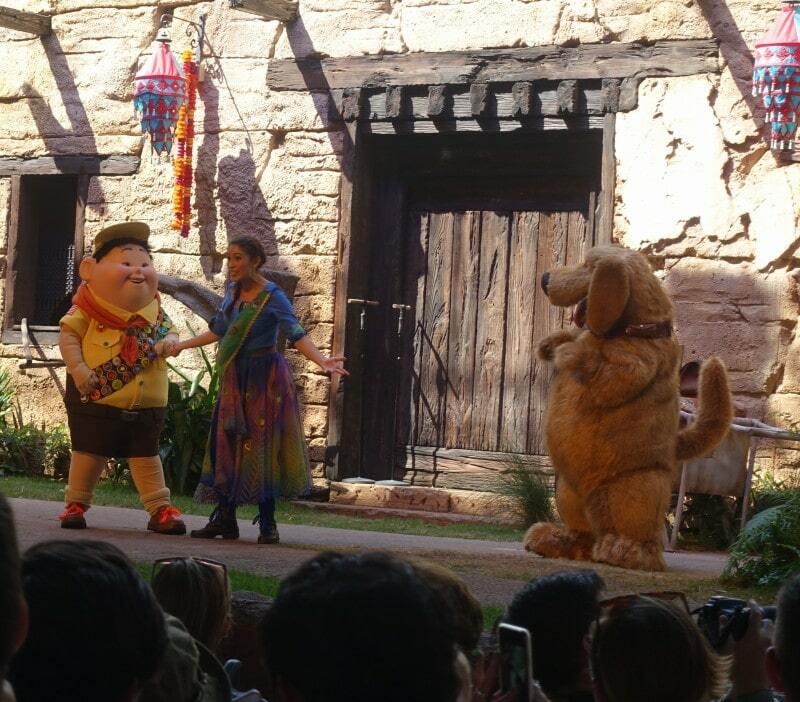 The Russell and Dug interactions will be fun for fans of those characters, but create the potential for some missteps, as their lines are pre-recorded and if for some reason the relevant birds don’t hit their cues, the audio may mismatch the action. UP: A Great Bird Adventure is showing in the same Caravan Theater space in Asia in which Flights of Wonder was set. The theater is not air-conditioned, but it is shaded. Show times may vary—for mid-July, it is currently scheduled five times over the course of the day at 10:30a, 12:00 noon, 1:30p, 3:30p and 5:00p. When we arrived—about half an hour before the 3.30p show—the theater was already half full, but guests continued to be admitted until right before the 3.30p show. I would not bet on getting a seat that close to show time, but you probably don’t need to arrive up half an hour early, either. 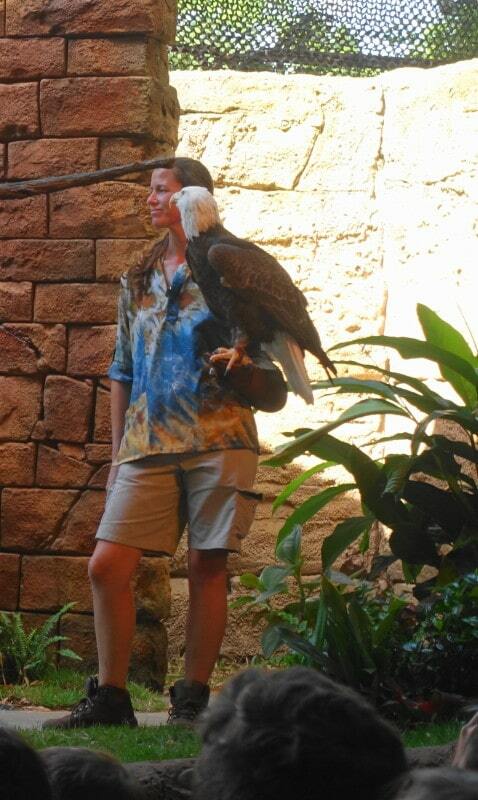 UP: A Great Bird Adventure is not remotely so strong that you need to plan your day around it, but if you have any interest in animals or birds, or in Russell or Dug, it is worth your time. I am so excited to see this. 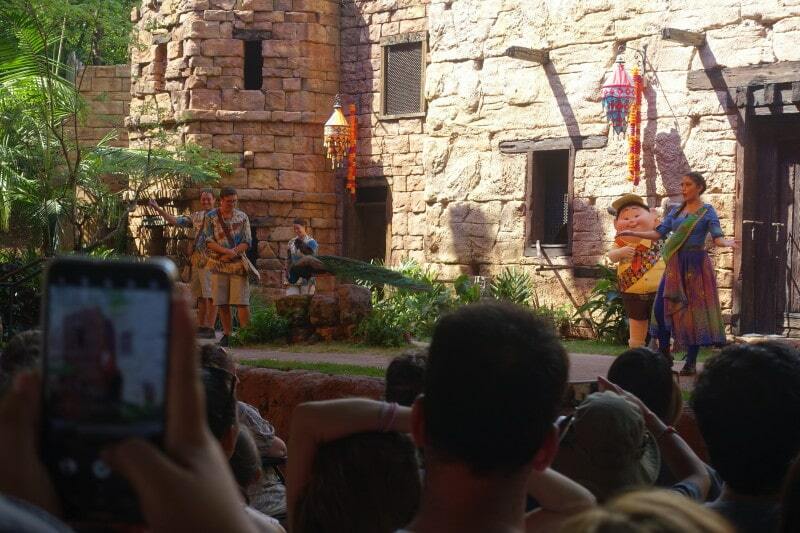 If you can’t tell by most of my pictures – Russell is my FAVORITE Disney character. Thanks for the great review. Kelly, I was thinking of you when I picked the pictures! The show has a pretty cool set and is a pretty good show all around, but I had a fast pass, and I had to get there between 1:00-1:15 and I got there right as it turned 1:16 and they wouldn’t let me use my fast pass. I thought that was ridiculous. Have been a long time fan of “Guano Joe” and Flights of Wonder. 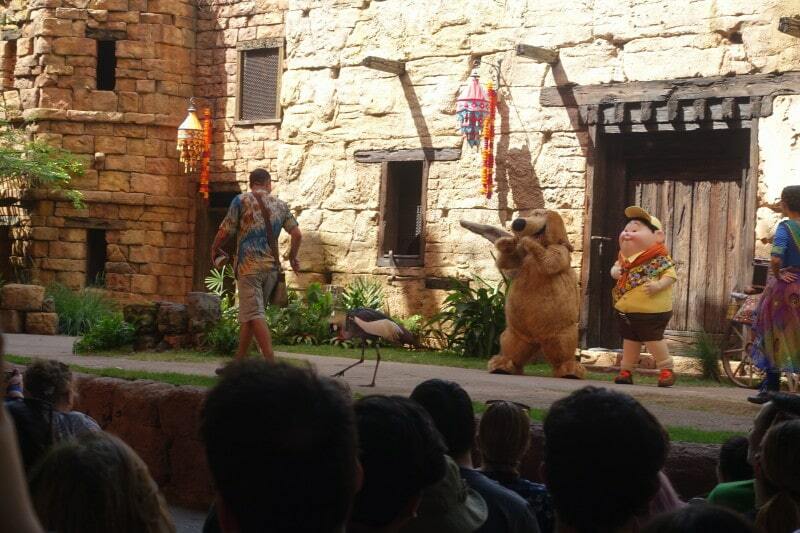 The humor interspersed with the bird behaviors made for a very entertaining show. Perhaps the concern was that Flights of Wonder was boring for children. Unfortunately, the new UP show is now boring for everyone. The birds are still amazing but the show itself drags on and the characters add nothing to the show for anyone. Awkward show, does not seem Disney-worthy. Yeah, Jennifer. They’ve re-done it a bit since my review, but it’s still a bit of a miss I hear–I have not made time to see it since the changes.